Isn’t this fabulous?!! 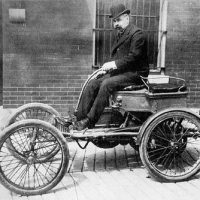 Shown above is an Antique Car image with a Lady Driver. There are two more lady passengers as well as a man, who is smoking a cigarette, in the back of the car. I love the dark Emerald Green color of this beautiful vehicle! 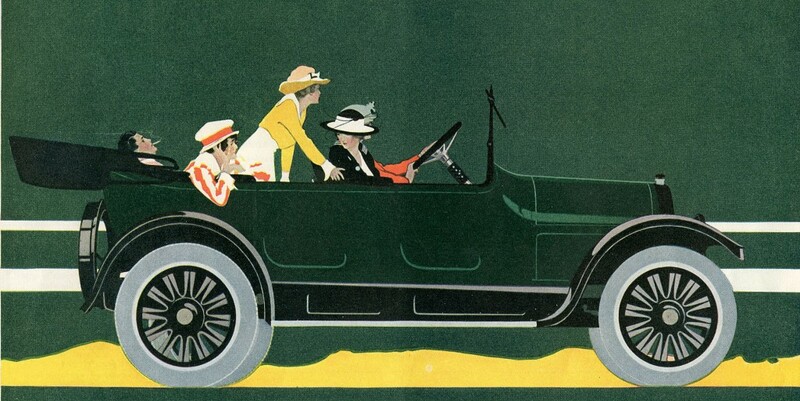 This one is Circa 1916 and comes from an Antique issue of The Ladies Home Journal. Such a striking image with the bright colored clothing against the dark green. They look like they are on the way to a fun outing! 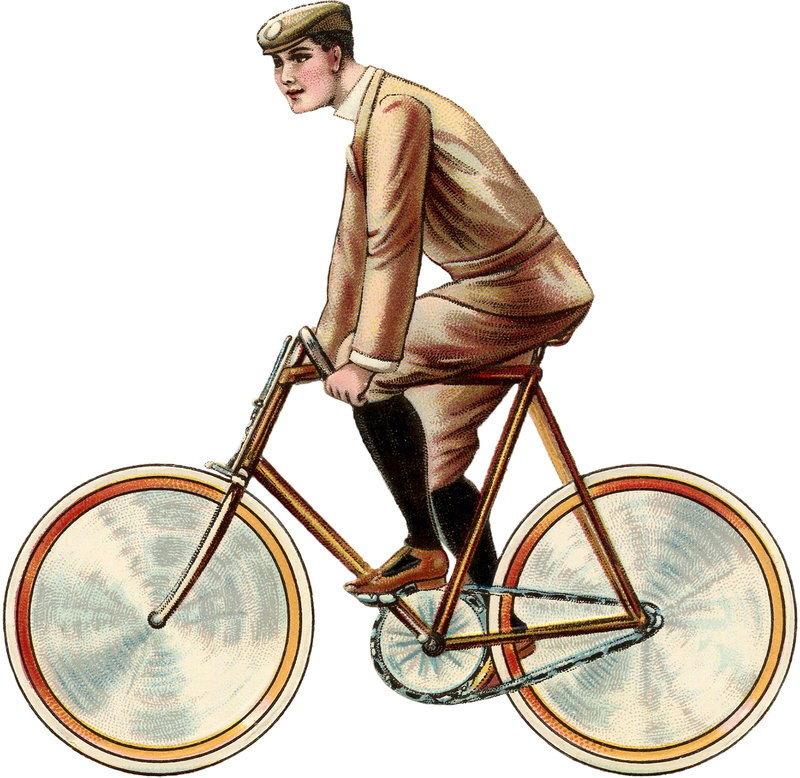 Free Vintage Clip Art – Man with Motor Car Vintage Bicycle Image – Young Man on Bike Beautiful Vintage Blue Boats Picture! Love this thanks Karen – it is stunning. Delicious, Karen. You are an inspiring sourcer, or should I say sorcerer! Thank you for sharing. This is great ! Thanks for sharing ! Hi Karen, amazing graphic, I love it!!! I just have a quick question. When I try to pin the graphic now it doesn’t show the image just your name. I’m on an iPad so I’m not sure if that makes a difference. Is this the way it is with the new design? Thanks!! Great picture. I’d love to know the story behind it. It really piques one’s curiosity. Love the bold, stylized colors and patterns. Thanks. Love this one. Notice the guy smoking in the back seat all relaxed. Love that image. So unusual. But they do look like they are having fun!